The brexit caper is rumbling on, will there be a general election, will there be another referendum, will it be a deal or no deal brexit, what does it all mean? The deal provisionally agreed between Theresa May and the EU would mean no tariffs on any goods or services. The UK would be responsible for applying border checks in Northern Ireland but the ‘Irish backstop’ guarantees no return to a hard border. A controversial aspect is that the backstop could only be ended by an independent arbitration panel and not unilaterally by the UK. Freedom of movement would end and EU nationals who have lived in the UK for five years would retain their rights but would need to apply for permission to remain, this could also apply to UK nationals living abroad. The deal scenario includes a potentially indefinite transition period starting from the leave date on 29 March 2019. The UK would enter into a single customs territory while a future trade agreement is negotiated. Fishing rights have not been agreed and the European arrest warrant would end. The estimated cost of the deal brexit is between £35bn and £39bn. A no deal brexit would mean no withdrawal agreement between the UK and the EU. This would mean no transition period and on the 29th March 2019, consumers, businesses and public bodies would have to respond immediately to changes as a result of leaving the EU. Under a no deal scenario trade would revert to World Trade organisation rules on trade and Britain would have to face the EU’s external tariffs. This could lead to price increases for British consumers due to tariffs on goods imported from the EU. Some UK manufacturers might move operations to the EU to avoid delays arising from customs checks at the border. Britain would no longer pay its annual £13 billion contribution to the EU budget and would no longer be bound by the rulings of the European Court of Justice. Britain could also implement trade deals with other countries as soon as they were signed off. The potential impact on the print industry is not certain. Many UK printers export into Europe but there are also some very large EU print companies that have centralised production outside the UK. The supply chain for UK printers could also be affected, however the largest paper manufacturing countries such as China, USA and Japan are outside the EU. Some print finishing equipment is manufactured in the UK but many of the press manufacturers are based in Japan and the USA. For RedTie as a software as a service (SaaS) supplier, compliance with EU GDPR rules has been in place since before the 25th May deadline earlier this year. 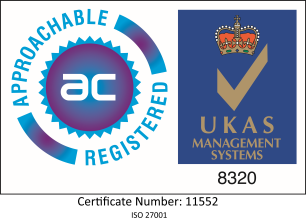 Our ISO certification is an international standard and therefore has continued validity regardless of the UKs status in relation to the EU. Our ISO auditor, BSI, has secured its membership of the European Committee for Standardisation post brexit so again there are no concerns about our security credentials. RedTie software is used internationally, as are many other SaaS products. At present there is no reason to believe that brexit will have any impact on the way SaaS products are delivered in the future. In the immediate future the British government will attempt to get the proposed deal voted into law by the House of Commons. If it fails there could be a no deal brexit, alternatively there could be a general election which might also be followed by another referendum. Despite the uncertainty surrounding the deal or no deal scenarios RedTie users can count on continued reliable service and support. If you need a high performance Web to Print solution get in touch and you are certain to get a great deal.